Last day! Day 18 of our "18 in 2018" workshop. Thanks for sticking with me. 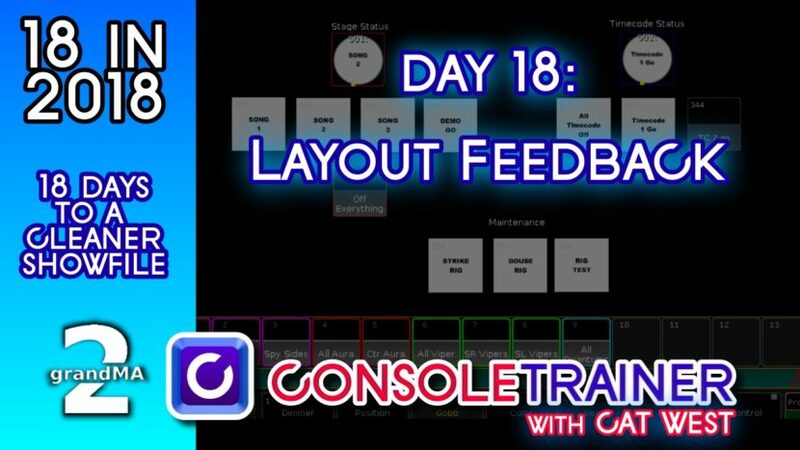 We'll look at using yesterday's fixture profile to put visual feedback information about the state of your show into your layouts. This last tip is an idea that you can build on and modify for your own purposes. 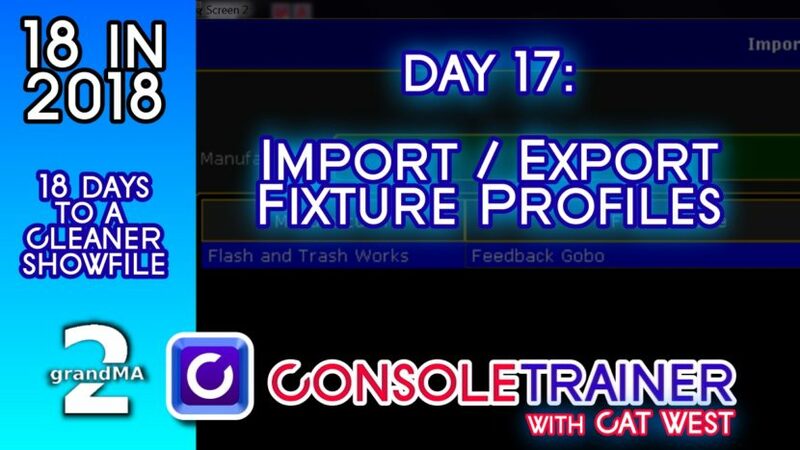 Our seventeenth day of 18 in 2018 will show you how to import and export fixture profiles. These might be profiles that you pulled down from ma-share.net, or perhaps they are from another show file. Welcome back to 18 in 2018. 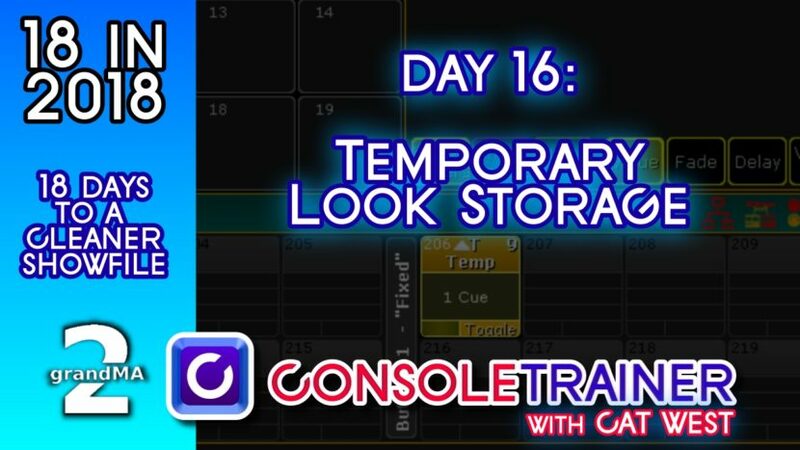 On day 16, I want to show you a really simple convention that I use to store those temporary looks you need. OK, what am I talking about when I say "temporary look?" What I'm referring to is a DMX output that has to be live on stage for some amount of time, and this look typically needs to be up while you're working on other looks and real cues that will actually make it into your show file. For example, when you're building a show, but your crew needs certain lights on and in certain positions: maybe to focus, or maybe to troubleshoot. Sometimes those looks will be up for just a few seconds, other times they can be quite time consuming, and the last thing you want is to leave this information in the programmer and accidentally store it into a real cue. Instead, I keep a storage cue for just such occasions. 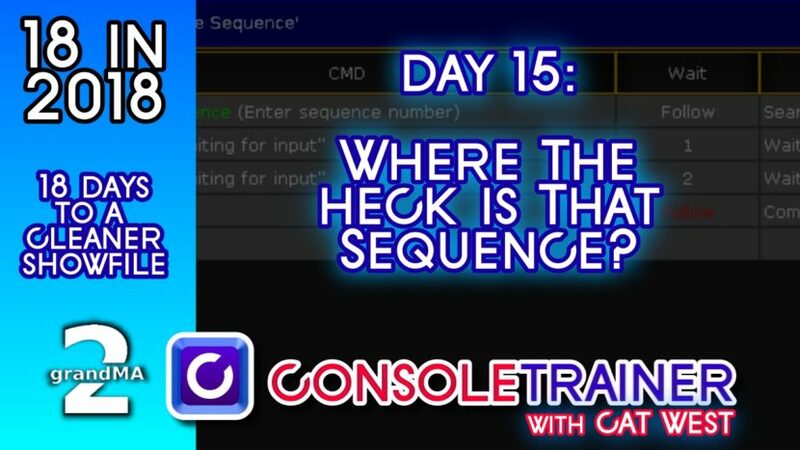 Our fifteenth day of 18 in 2018 we're gonna answer the question: What page did I store that Sequence to? What would a series on organization be without at least one tip involving paperwork? 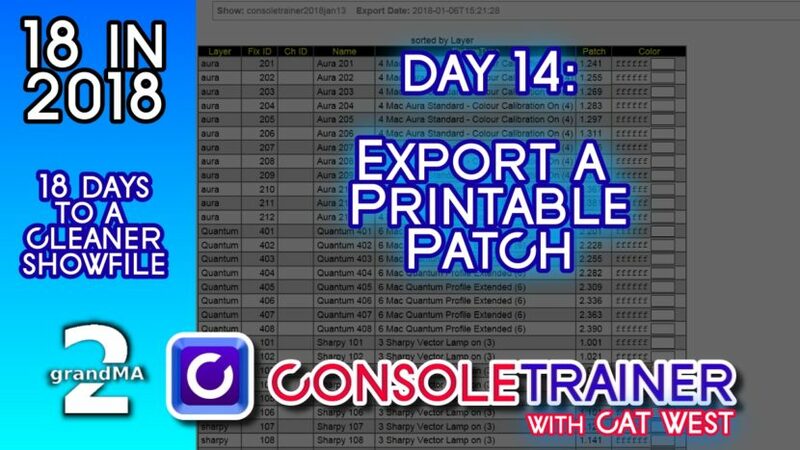 Our fourteenth day of 18 in 2018 is a quick one to show you how to export a printable patch from your show file. 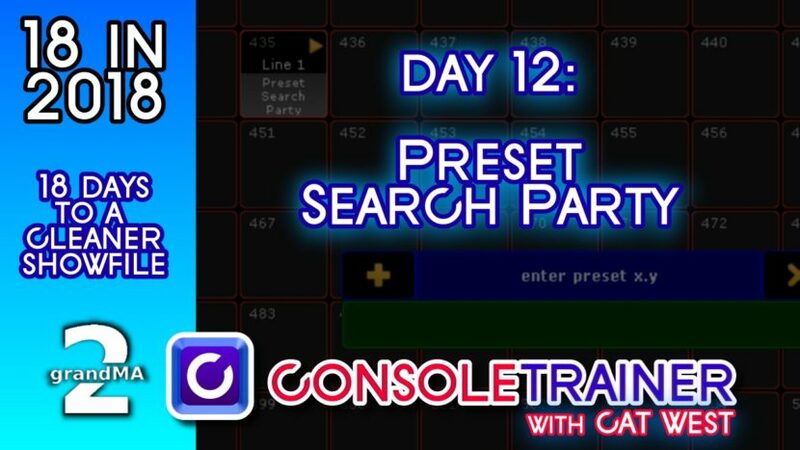 It's a Preset Search Party for Day 12 of 18 in 2018. Ok, its really a report, but that doesn't sound as fun. Day 10 of 18 in 2018 is for all of you on the road running a concert tour. It’s very common to program your show as one song per page- it works great. 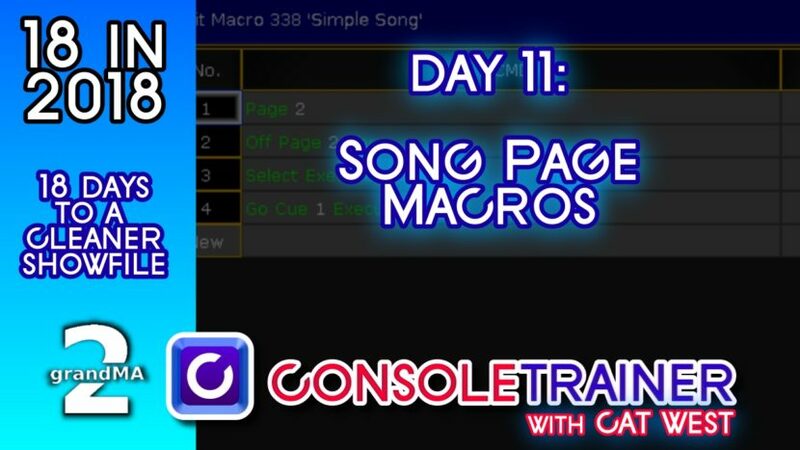 It’ll be even easier to move around those pages, if we write some macros to get us there. It's Day 10. 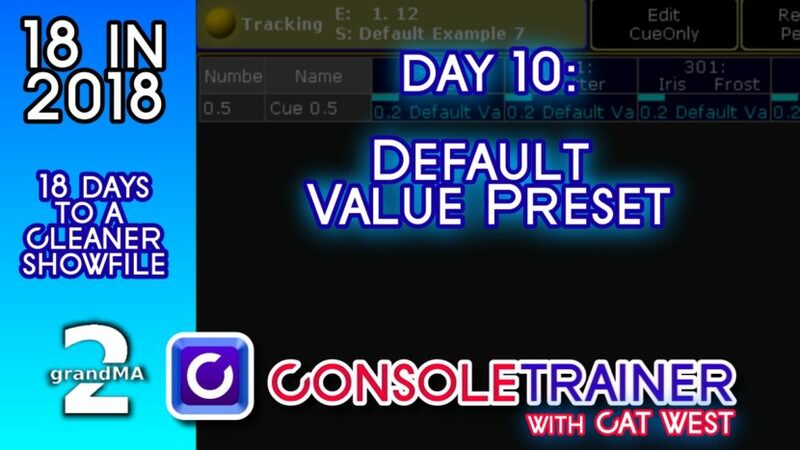 Today I want to talk about building a default preset that we'll use at the top of all of our cuelists. 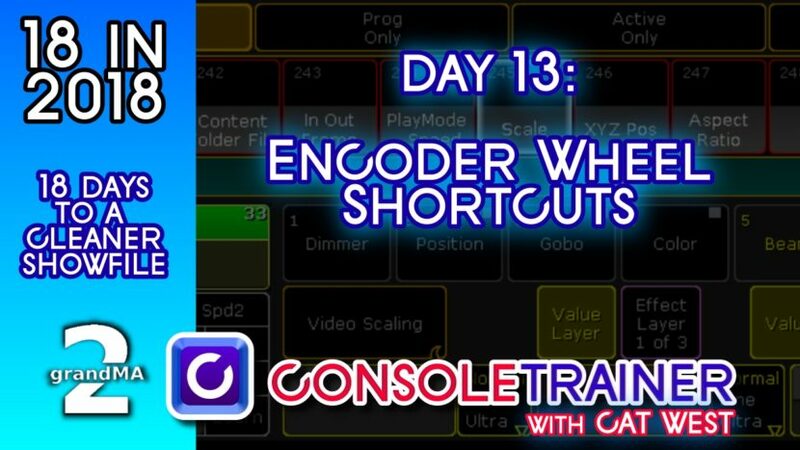 This one is a little tricky to understand in concept- but if you've ever toured a production where you change fixture types in your rig between venues, and you've found very strange defaults tracking through your sequences.... You're going to find this one helpful. It's not a typo. 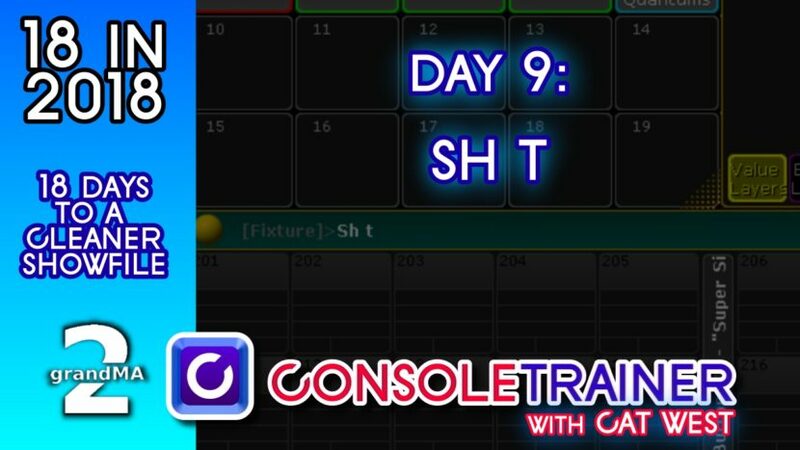 Day 9 is not about "sh*t." But it is about remote shutdown shortcuts for the MA2 devices on your network.